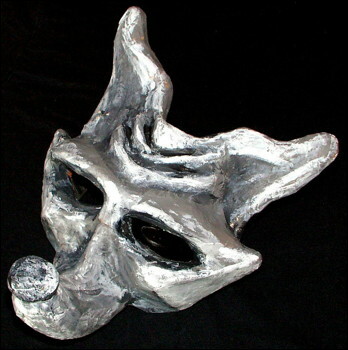 These masks were made for my native play, Two Sisters, Two Brothers, and a Journey, which premiered in the fall of 2001. In all there were 25 masks. The five featured here portray the Takelma myth characters of Coyote, Jackrabbit, Owl, Mudcat Woman and Daldal (The Dragonfly Brothers). They were designed by Shallon Ferris.